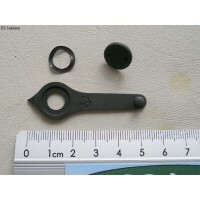 These are original rear peep sight apertures for P'14 Rifle long range volley sights. As originally produced, the Pattern '14 Rifle was fitted with a set of 'volley sights' along the left side of the rifle to enable engaging targets at ranges from 1,500 yards out to 2,600 yards. The idea being that a section or Platoon of men would all aim at a particular target at these extreme ranges and fire a volley of shots thereby greatly increasing the chance of a hit over a single rifleman firing on his own. About half way along the left side of the fore-end and let into the stock, was a steel plate shaped like an egg, with ranges engraved around it's circumference. By moving the arm which pivoted on a boss in the centre of the plate so that the pointer was set at the desired range the correct elevation for the rifle could be set. A small bead rivetted onto the end of this arm acted as a foresight. At the rear of the reciever and held in position by the tail of the bolt release catch spring, was the rear arm, which folded flat along the side of the reciever when not in use. On the top of this arm was a small aperture which acted as the rear sight. This arm is what is offered here. When P'14 rifles were taken out of store and refurbished for use in the Second World War, part of the refurbishment programme was to remove the front sight arm and file the boss away so that it was flush with the plate, and to cut off the rear arm leaving the base in place to act as a spacer, the volley sights being deemed no longer necessary. The rear arms offered here are all originals, salvaged from rifles, presumably sold out of store prior to WW2. As such they all exhibit wear and tear to the finish but are otherwise in good and serviceable condition. 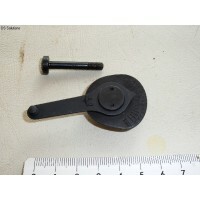 Unit of sale, 1 Rear Volley Sight Arm. British Army part numbers were not allocated. 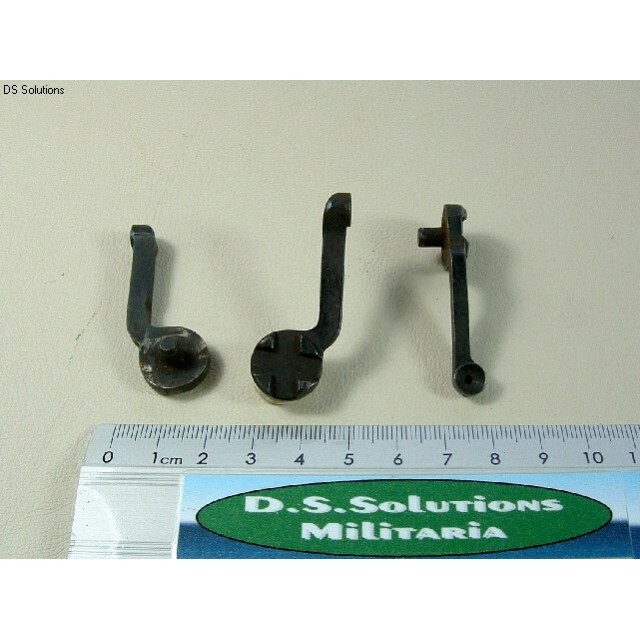 These are complete front volley sight sets for the .303" Pattern 1914 Rifles (P'14).The set consists..